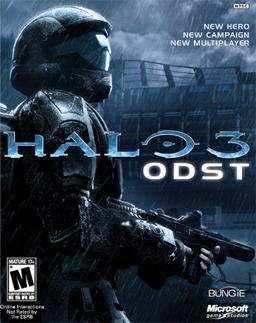 It looks like Future Shop's pre-order of the week is the Xbox 360 exclusive Halo 3: ODST releasing September 22, 2009. The regular price of the game is $69.99 but if you pre-order the game from Future Shop this week you can save yourself $10. Not bad considering I'm sure that all you Halo fiends out there will be picking up this game on day one. I wasn't initially that enthused about the game (it was originally positioned as equivalent to DLC in terms of content) but Microsoft says they've increased the scope of the game significantly since the original concept and unveiled a bunch of new features and game modes back at E3. Whether or not that means $70 worth of value ($60 after the Future Shop discount) is up to you. So, Who's Leading in the EP Fan Threads? New Silicon Knights IP leaked by Telefilm Canada? ELAN Awards Moving to Los Angeles? Is the PS3 Slim Fake? Oh Trine -- Will You Be Mine? Wii MotionPlus - Is It Worth It?